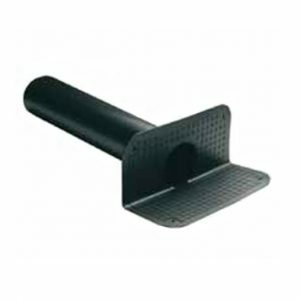 The angular roof drain with round exit spigot is provided with a 500 mm long drain spigot hich could be easily made longer simply by using a standard plastic pipe. Mineral Finished Composite Bituminous Waterproofing Membrane Quite simply the best roofing felt on the market! Plura R Re-roof is a composite APP bituminous waterproofing membrane predominantly used on refurbishment projects. The upper face provides high heat resistance and cold flexibility, while the lower face gives unrivalled adhesion and workability with a wide variety types of substrates. 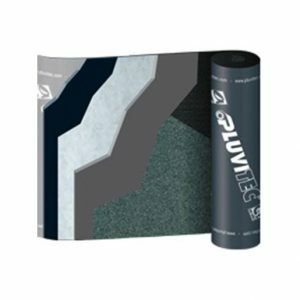 Fully compatible with all PLUVITEC membranes, both APP& SBS. Colours: Black, brilliant black. 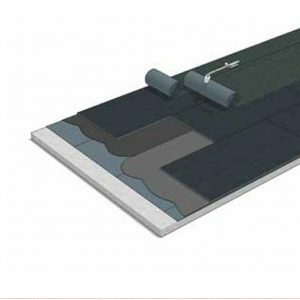 Modified APP Waterproofing Membrane Pluvitec Specialtec is an APP modified bituminous waterproofing membrane with both composite polyester and fibreglass reinforcements providing both good mechanical characteristics and excellent dimensional stability. 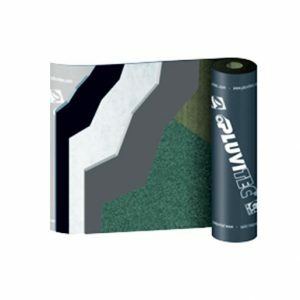 Specialtec P 3mm is the underlay in our fully Pluvitec warranty backed build up. 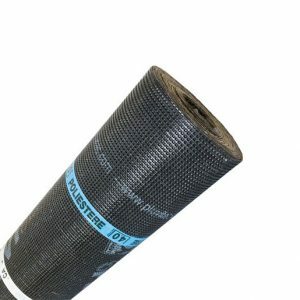 APP Modified Waterproofing Membrane Pluvitec Supertec P/PA is an APP modified bituminous waterproofing membrane with a single strand composite spunbond polyester fabric providing both excellent mechanical characteristics as well as excellent dimensional stability. 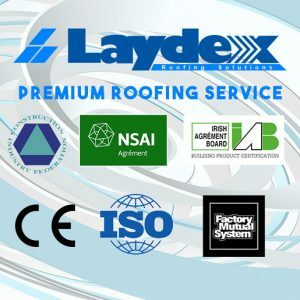 Pluvitec Supertec P 4mm, PA 4mm and PA 4.5kg/m2 are certified by the NSAI under Irish Agrément certificate number 07/0294. Pluvitec Supertec is the capsheet in the Pluvitec 20 Year Warranty system – see images for system full build up. 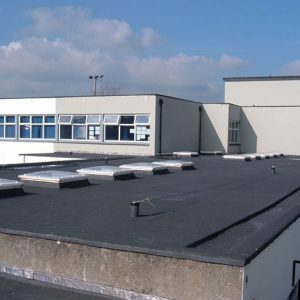 Pluvitec Supertec P/PA 4mm carries FM approval for use in Class 1 Roof Constructions. Modified APP Waterproofing Membrane Pluvitec Ultratec is an APP modified bituminous waterproofing membrane with a single strand composite polyester reinforcement providing very high mechanical characteristics and excellent dimensional stability. 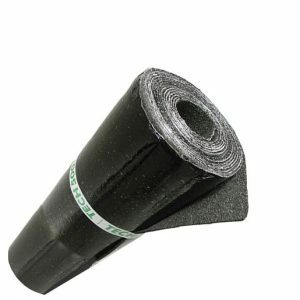 Rot-proof bituminous waterproofing membrane Index Helastopol is an SBS modified bituminous waterproofing membrane. 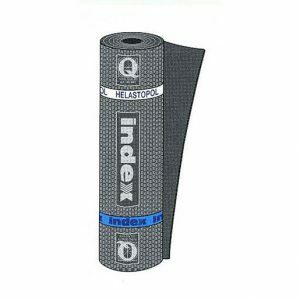 It’s rot-proof, composite reinforcement made of “non-woven” polyester fabric stabilized with fibreglass guarantees dimensional stability which is two to three times higher than that of normal “nonwoven” polyester fabrics. 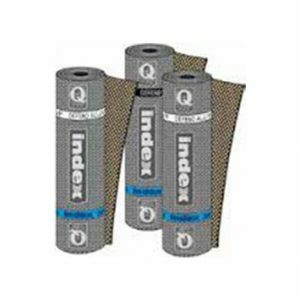 Waterproofing vapour barrier membrane Index Prominent is an elastoplastomeric distilled polymer-bitumen waterproofing vapour barrier membrane designed with an embossed upper face by index to resolve the problem of waterproofing where insulation panels must be bonded without using molten oxidised bitumen or cold adhesives or mechanical fastening. When you start warming-up the PROMINENT dimpled face, the flame of gas burner will be bluish. By keeping on torching in the same area, flame colour will turn from bluish into red/orange: this means that the PROMINENT surface is ready for application of the insulating boards. 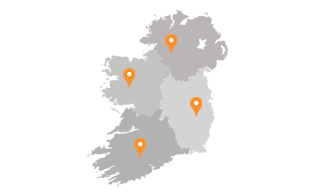 No need for hot bitumen, flames or adhesives INDEX SELFTENE is a self-adhesive polymer modified bituminous vapour barrier onto which the insulating panels can be glued by simple cold pressure without the need for hot bitumen, flames or adhesives. Use SELFTENE in your fully adhered build up to avoid naked flames on site and speed up installation. 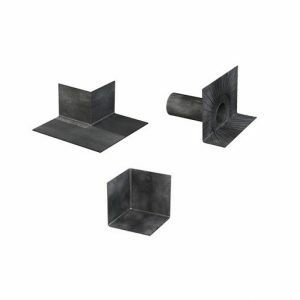 Reliable and economical polymer bitumen corners The pre-formed polymer bitumen corners and drain outlets are manufactured to be reliable and economical but above all 100% compatible with the torch on membranes. 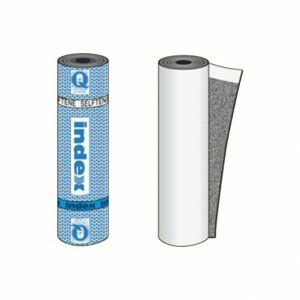 Fully compatible with the torch on membranes, they become one with the waterproofing system. They are adaptable, easy to torch in different situations which arise on roofs, like corners, horizontal drains, etc.